This was recognised at the Harpers Awards where we were finalists in the category of ‘Best New/Emerging Drinks Business’ and we are proud to be 11th in the ‘Wine Merchant Mag’ league table of ‘Suppliers you most enjoy working with’. We deal directly with our producers and every wine has been carefully selected through regular visits to the wineries and a rigorous blind tasting process to ensure we meet the high expectations of the UK market. Once the wines arrive in the UK they are stored in our bonded warehouse and delivered throughout the UK in a fast and efficient manner by wine logistics specialists. We want the wine delivered to you to be in perfect condition, a wine that represents exactly what the winemaker intended. As well as a wide and diverse UK held stock of wines, we also have considerable experience working with customers on own/exclusive label projects and can supply direct from the countries of origin on a FOB, FCA or Ex-cellar basis. Lee grew-up immersed in a family business and always wanted to start his own. During the latter stages of his 25-year career in the hospitality and drinks industry he travelled often to Argentina with Maria and they began to realise there was enormous potential for the wines in the UK. Lee’s focus is Purchasing, Sales and Marketing. Maria was born and spent her formative years in Buenos Aires and like most people in Argentina (it’s the 7th largest wine market in the World) she has grown up enjoying the wines. 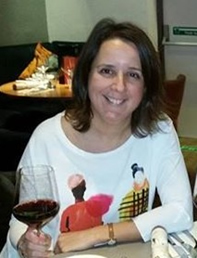 In 1997 Maria came to the UK and worked within the hotel and tourism industry, later she worked for leading pub and restaurant operator Mitchells & Butlers. Maria’s focus is Finance and Purchasing. Graeme has been working in the wine industry since 1990, starting with ‘Oddbins’ as a Sales Assistant and then working for ‘C&O Wines’ and ‘Vinceremos Organic’. In 2002 he joined ‘Matthew Clark’ where he pursued his passion for wine within roles such as ‘Premium Wine Agencies Business Manager’ and ‘Wine Development Specialist Manager’. His latest role was with ‘Armit’ where, since 2013, he had responsibility for the North. 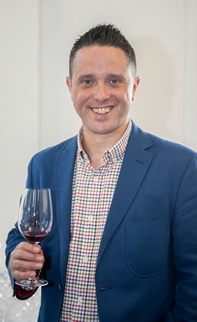 As well as commercial experience Graeme has always sought to expand his understanding of wine, he has a WSET Diploma, has completed the first year of the Master of Wine study programme and is also an ‘International Wine Challenge’ (IWC) judge. Graeme’s focus is Sales, Trade Events & Quality Assurance.